This post is proof that hard work pays and the currency is Swag. We’re not talking about Everyday Swag that mom pays for. This type of Swag can’t be bought, only earned. Elite Swag. And the best part about Elite Swag? 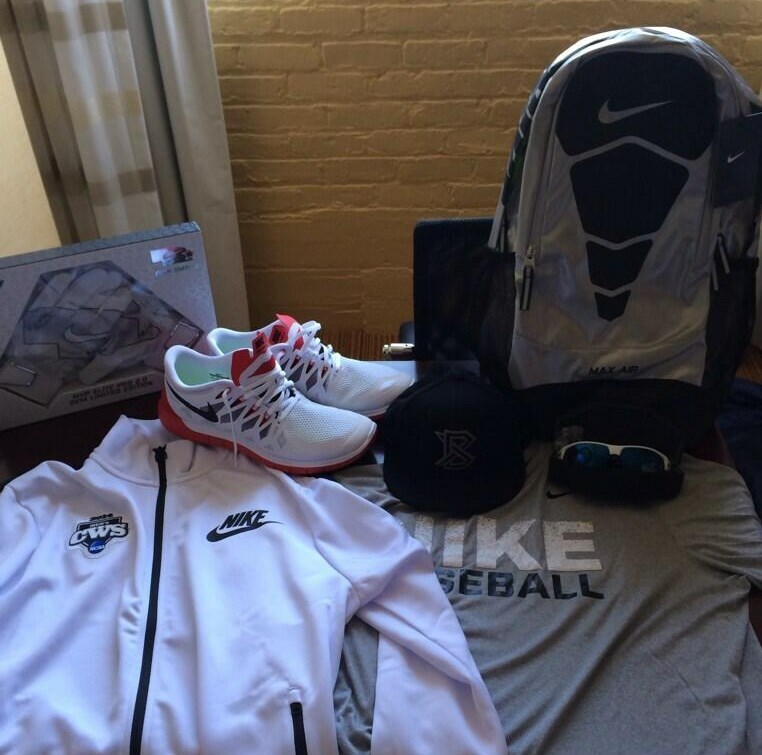 These are some of the never-before-seen-items to look for on College World Series ballers this weekend. If you see something new aside from these, do the WPW community a favor and let us know. 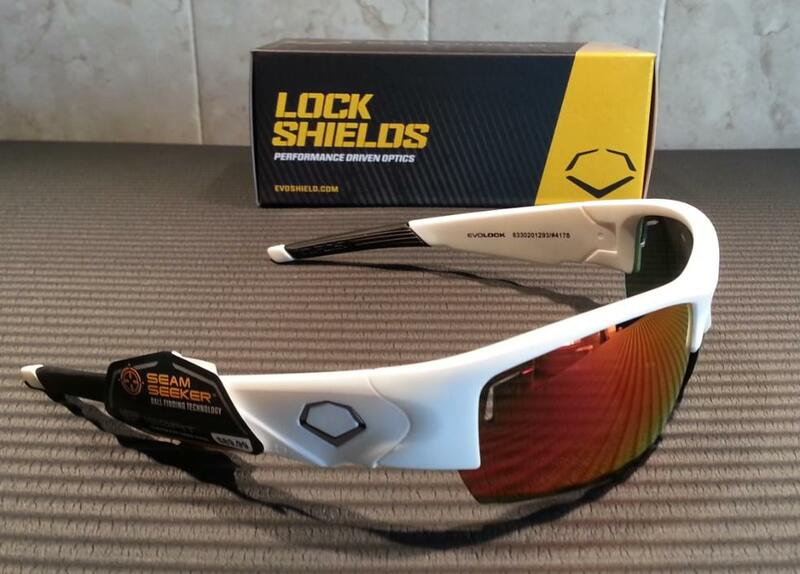 In the photos above, WPW gives you a first look at Evoshield‘s newest batch of performance eyewear. We just got these in this week, and we’re very intrigued to learn more about this “Seam Seeker” ball finding technology. I have no idea what that means BUT I NEED IT. I’ll wear ’em this weekend and report back. The above model is the Evolock, and in the lead photo you can see the three different colorways, black, clear, and white. One thing I appreciated is that these have adjustable nose pads so you can adjust the fit a little bit. The first run of Evoshield eyewear sold out, so BE READY TO POUNCE on these come Saturday (this Saturday) on Evoshield.com for $89.99. Along with the Evolock, expect to see the Evotracker for sale at Evoshield.com on Saturday. 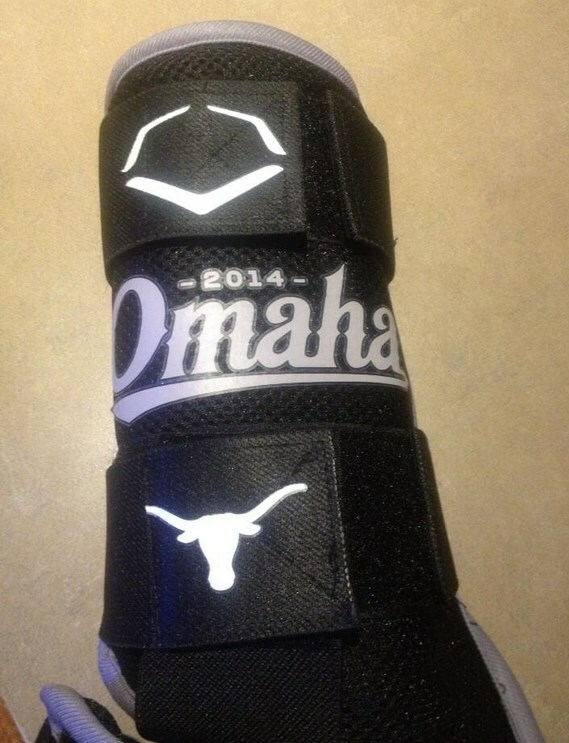 A nice little detailing for Omaha, the Texas Longhorns will wear these special leg guards on Saturday. As they did last CWS, adidas will unveil their latest cleat technology in Omaha and on the feet of the Louisville Cardinals and the UC Irvine Anteaters. 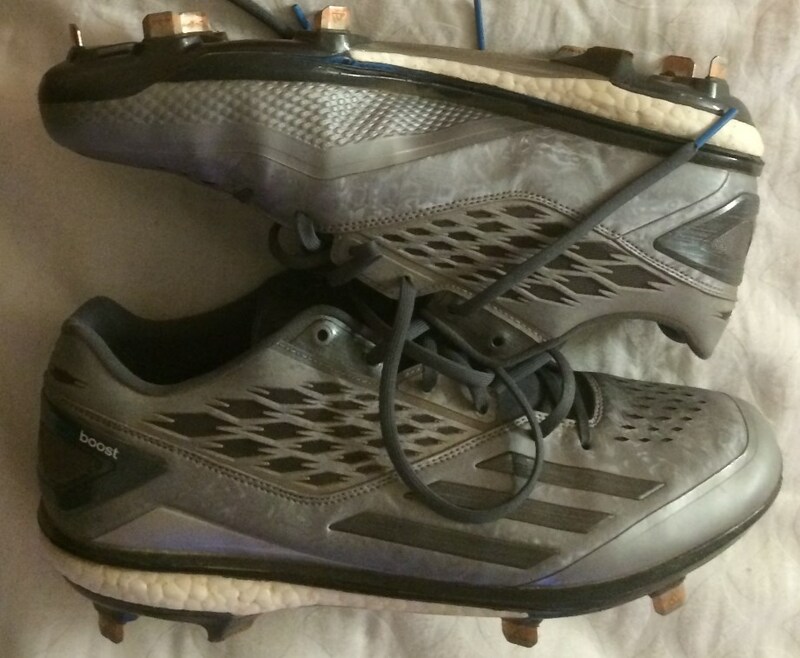 The adidas Energy Boost Icon cleat borrows from adidas running technology to offer what adidas Director of Baseball, Aaron Kahn, calls “energy return” that will help the wearer to sustain the “spring” in his step for 9 innings. adidas tells us these will be on sale at Eastbay.com tomorrow (6.13). 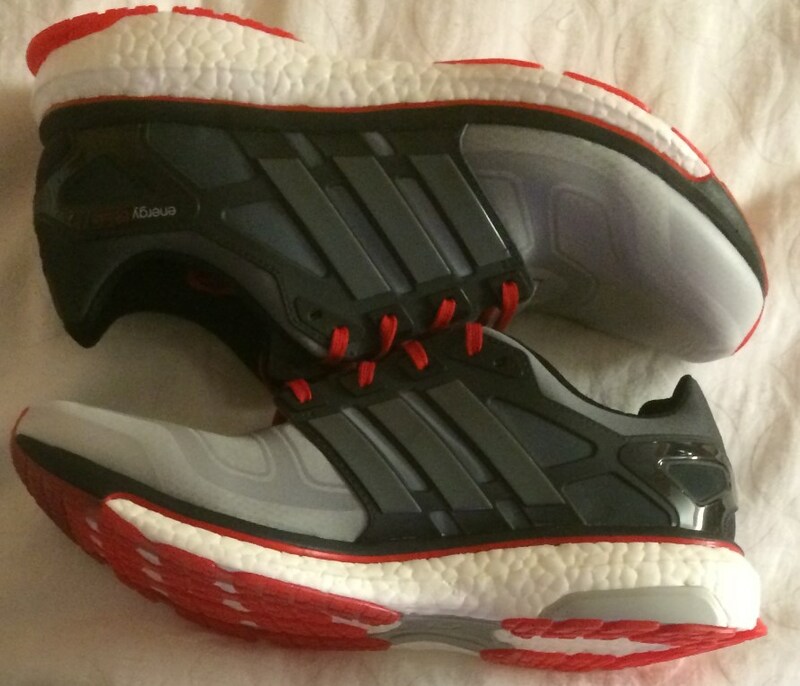 These are the Energy Boost 2, available online already. 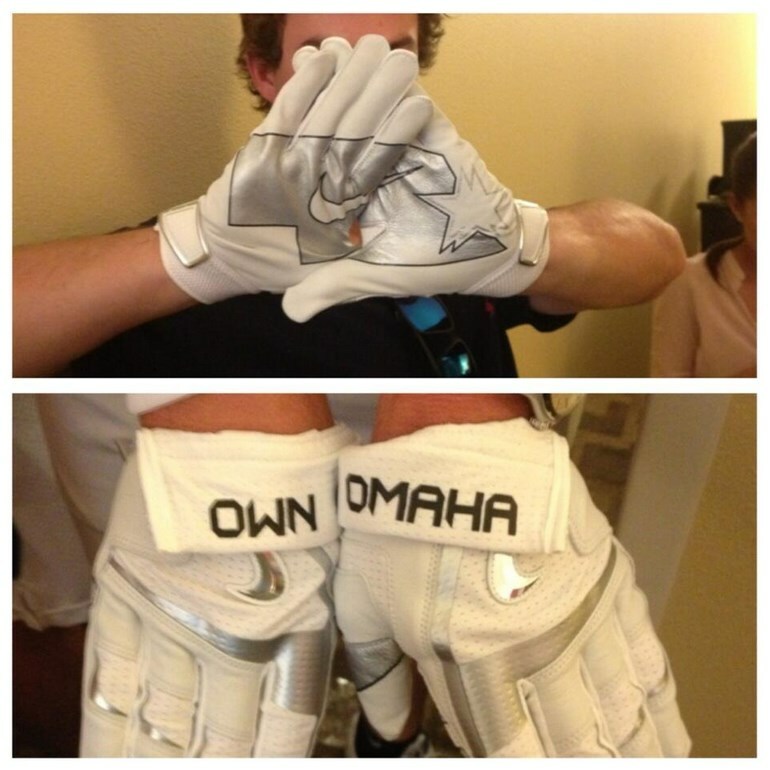 …which includes the EQT X1 and X2 bats, EQT silver batting glove and EQT silver mitt. Expect these to be available tomorrow along with the Energy Boost Icon. 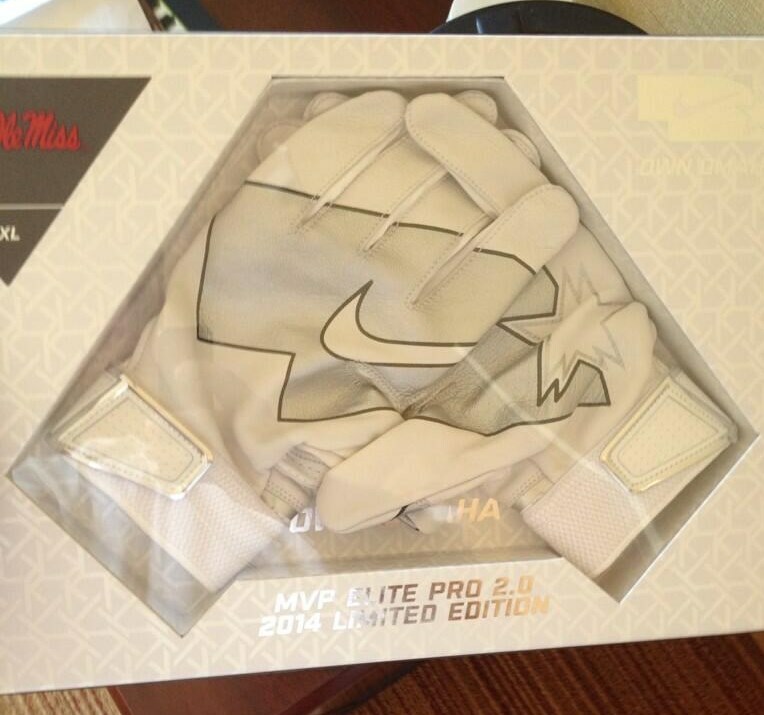 Another notable release, UT Longhorns’ Nike MVP Elite Pro 2.0 batting gloves, a style we’ve never seen before. They’re getting these even before the Big Leaguers get ’em. No word on if/when they’ll be released, but I have a feeling they’d sell a few. I’ve been wondering about that interlocking “B” logo on the hat for a while, and this makes me think its just Nike’s baseball-specific logo. Right? Keep an eye out for this stuff this weekend and if you see anything new let us know. Nike apparently didn’t have a store at the CWS this year. I heard different stories of Nike only being there one day and them not being there at all. Will WPW update if those Nike Omaha BG’s go on sale? Those are straight fire.